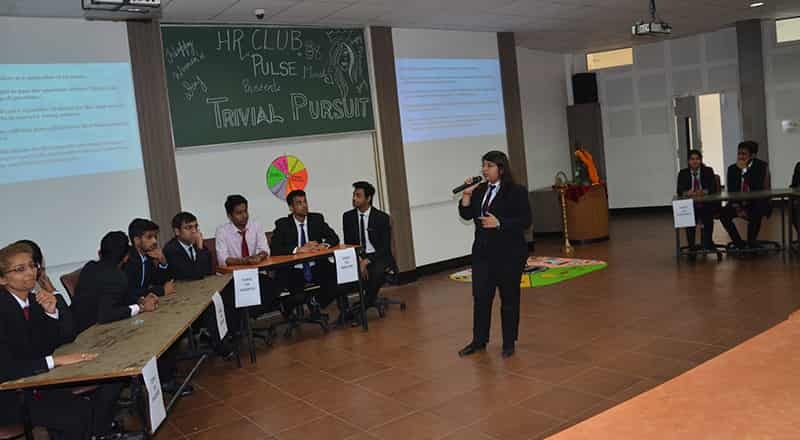 On 9 March, HR Club PULSE at Shri Ram Murti Smarak International Business School organized the quiz competition TRIVIAL PURSUIT, which focused on assessing the decision-making power of students and enhance their knowledge. 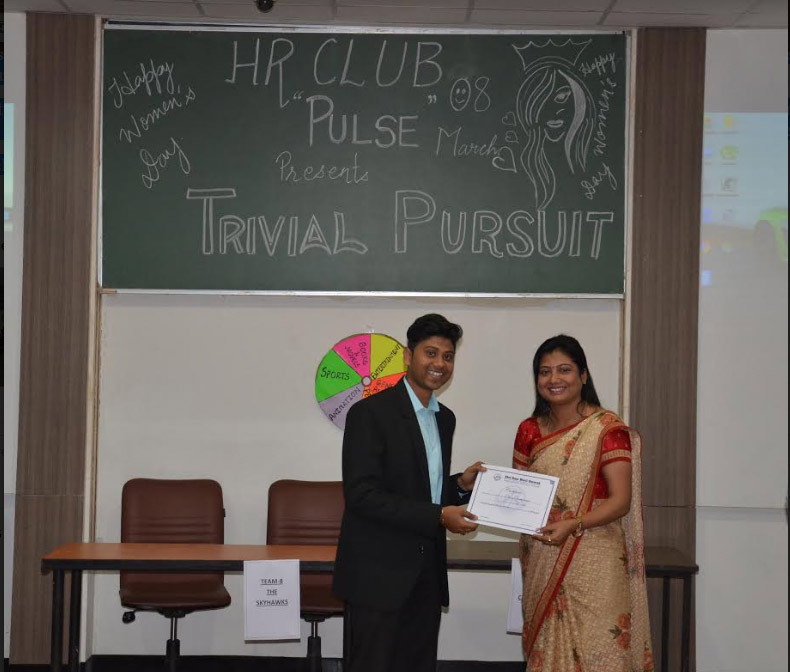 The event comprised three rounds: Random Throw, Hit the Bull’s Eye, and Seize the Moment. 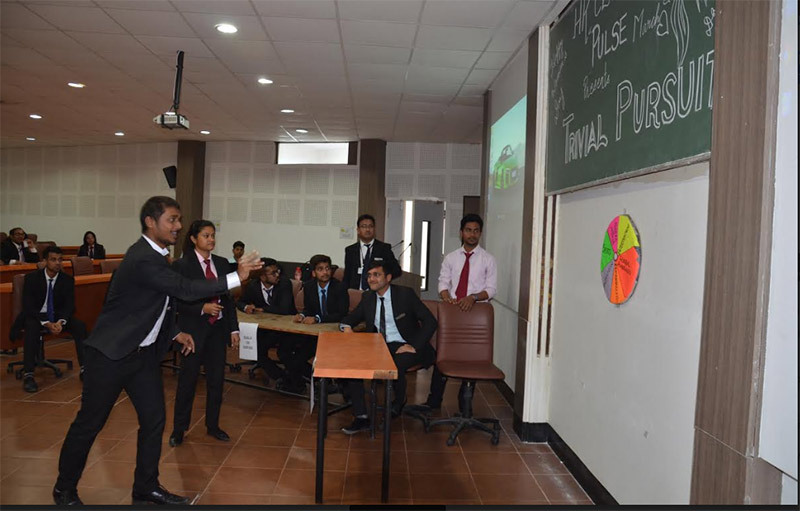 The students were divided into 10 teams: The Mavericks, The Phantoms, The Conquerors, The Challengers, The Magicians, The Daredevils, The Titans, The Sky Hawks, The Thunders, and The Spartans. 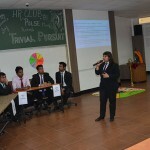 In the six categories involving Sports, Entertainment, General Awareness, Animation, Books and Novels, and Personalities, the winner in each round was determined by the ability to answer a range of questions. 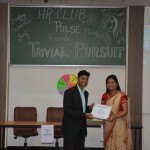 The first round consisted of random questions across categories. 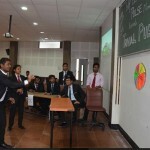 In the second round, participants had to shoot darts at a board with six different sections to select the categories of their choice. The third and final round was the buzzer round, which decided the ultimate winners – The Mavericks. 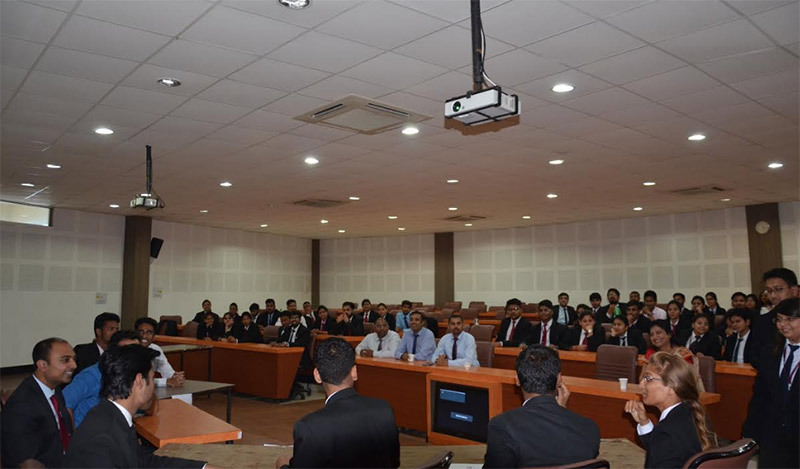 The lively and exciting event was brought to a close with everyone joining in to sing the National Anthem.